Growing organizations have growing needs. When businesses start to expand they are often required to change many of their recruiting and talent acquisition practices. Typically, growing companies find themselves unprepared when it comes to increasing workforce changes. The solution: Implementing resume tracking software to streamline all of your hiring needs. Recruiters and HR professionals can spend a significant amount of time manually sifting through resumes, screening, and interviewing dozens and sometimes hundreds of applicants. 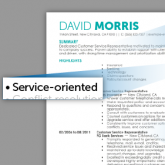 With so many applicants, employers often cannot read each resume individually. An applicant tracking system (ATS) takes virtually all the manual data entry and resume screening away from the hiring process, allowing you to focus less time and funds on growing your business. Additionally, if you work in an industry with high turnover, hiring can be a never-ending process. It can be difficult to keep up with the constant stream of resumes. Automating your hiring process keeps you organized so you can manage this process efficiently. Much of the initial screening time, and in turn, cost, is eliminated with an ATS. Primary benefits of resume tracking software include eliminating duplicate records for improved candidate tracking, as well as using application history to better determine candidate qualification. Long gone are the days when email folders and filing cabinets could be considered viable systems for searching and screening candidates. The war for top talent is becoming increasingly competitive, and losing qualified candidates in paper piles is one preventable way for companies to not fall behind the pack. With talent acquisition software, businesses ensure that resumes won’t get lost in the shuffle and candidates won’t slip through the cracks. Some of the more difficult tasks of being a recruiter include determining which recruiting methods are working, which are lacking, and what these metrics mean for the future. Without a high-quality centralized reporting system, identifying important metrics can be both confusing and time-consuming. A proficient talent acquisition system enables flexible reporting capabilities including such industry standard reports as cost-per-hire and time-to-fill as well as source effectiveness reports for better allocation of recruitment resources and automated EEO/OFCCP tracking and reporting to help give management piece of mind. In addition, these metrics can be reported in real-time, across multiple departments, locations, and business units. With a database of resumes collected through your ATS, you’ll have access to contacts when you need to fill current positions or new openings. Companies that focus on actively recruiting are considered the strongest and most viable, but building an effective pipeline to sustain such an effort goes beyond collecting and managing resumes. Effective pipelines are composed of qualified candidates ready to work at a moment’s notice. Ideally, pipelined candidates have already been screened and you are just waiting to match them with the ideal opening. Despite the importance of the OFCCP’s evolving regulations, many organizations are still struggling with manual EEO data entry and time-consuming, inefficient report generations. Applicant tracking systems allow for automatic collection and storage of a broad range of applicant-related information, making it easy to track and report EEO data in compliance with federal regulations. If your company is selected for an audit, comprehensive reports can be produced instantly. Organizations can no longer afford to have an inefficient recruiting process. Inefficiencies not only increase costs but they could cause a company to lose qualified candidates.